Beautiful Wisteria blue shades formed from clusters of star shaped flowers tightly bunched into bell shaped blooms. 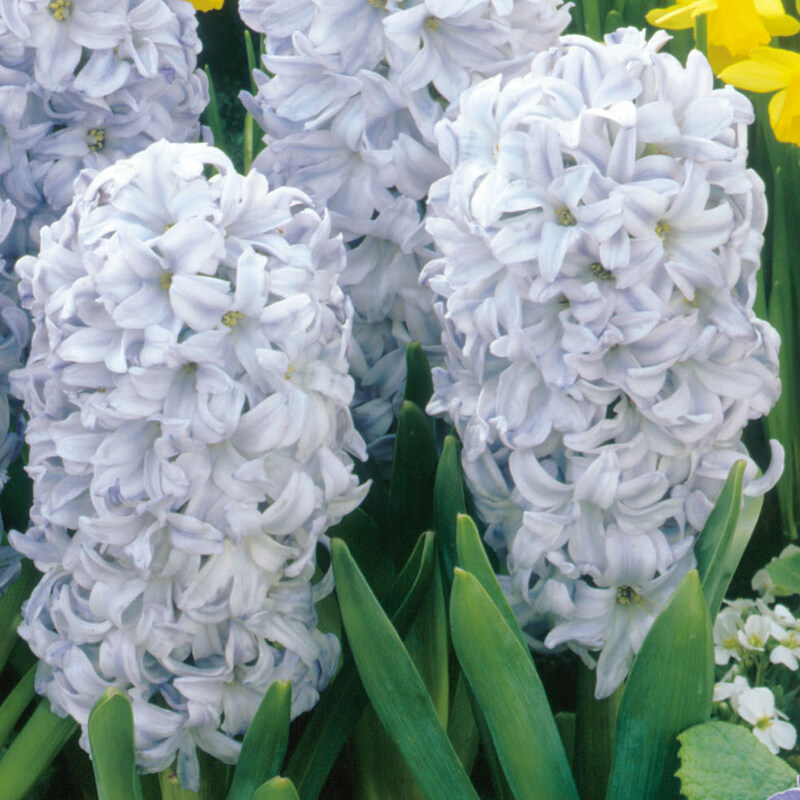 Sky Jacket tends to be a later bloomer, as with our other Hyacinths will flower through throughout March and April, for an amazing six weeks in an optimum season. 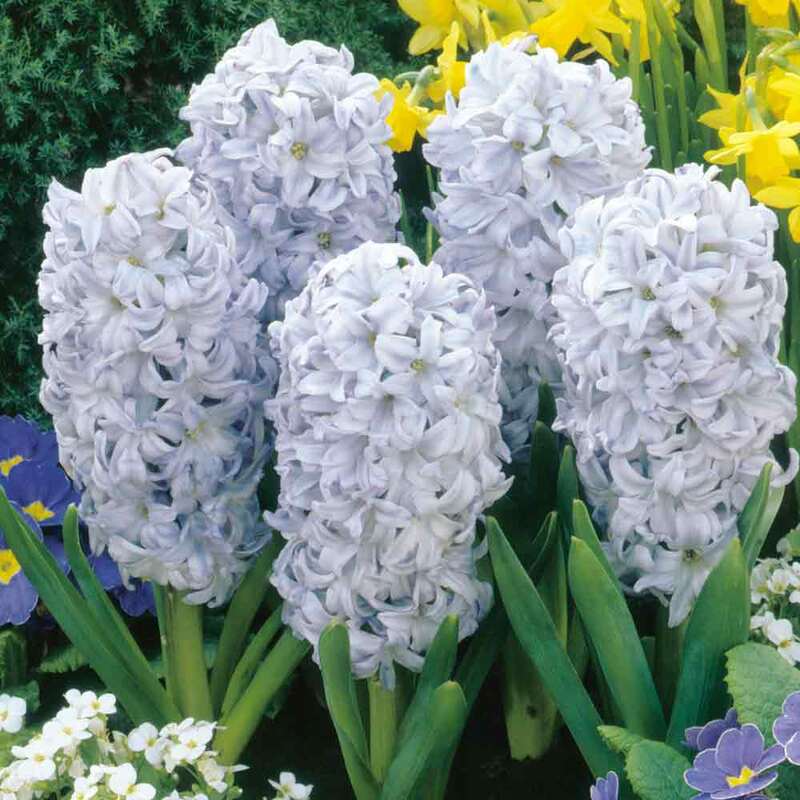 Great for enhancing summer bedding with their heady fragrance or can be forced in pots for flowering in early Spring. 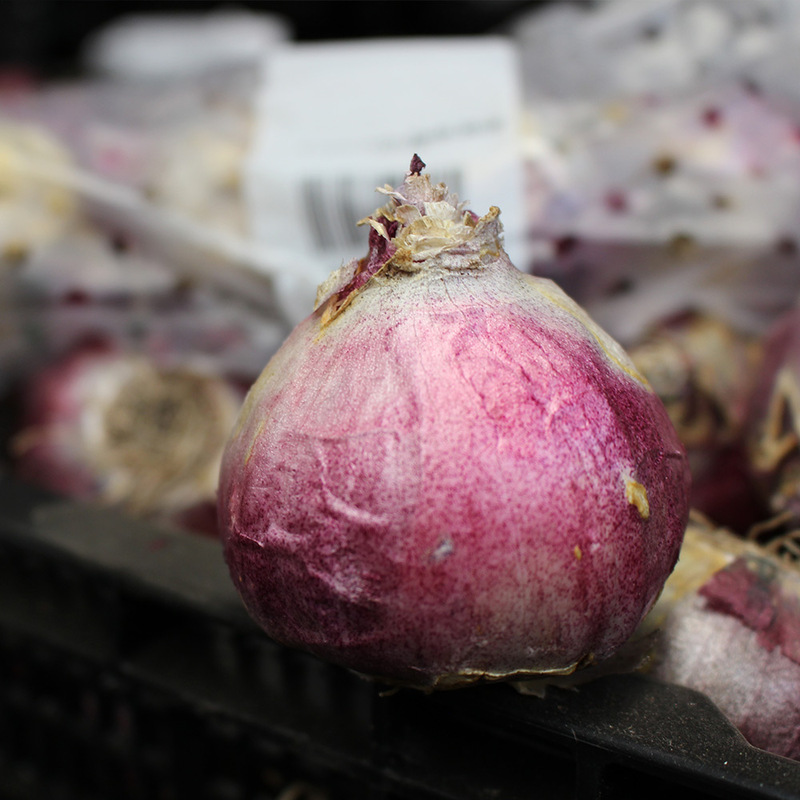 We supply 17/18cm bulbs perfect for pots or where you want enormous flower heads outdoors. Plant at least 10cm deep and approx 10-12cm apart. For planting in the garden, beds, or borders it is best to plant in well drained soil which has been dug to a good depth. For indoor cultivation of prepared or top sized hyacinth bulbs you should pl plant in fibre, and keep in a cool dark cupboard for 6-8 weeks. Water when required to ensure that the fibre is not allowed to dry out. The cooler they are stored, the longer the bulbs will last. They can be taken into the room and placed in daylight only when the roots have been well established and buds appear.